Jorge was born and raised in Southwest Texas but relocated to Virginia with his family in 2003. Before working in real estate, he followed his passion for the sciences, earning a B.S. in Astronomy from The University of Virginia. After finishing his undergraduate studies in Charlottesville, he relocated to Washington, DC and explored his creative side in luxury retail merchandising and management. In Spring of 2017, Jorge took this experience and joined The Marsten Group of Compass as the team’s Operation’s Manager, where he could apply his years of exceptional customer service, savvy entrepreneurship and acute attention to detail. 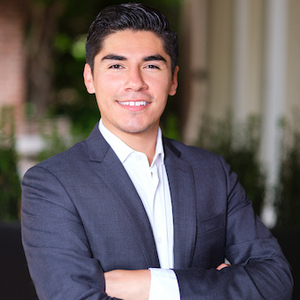 Since joining the team, Jorge has played an integral role in dozens of real estate transactions. After months of mentoring by one of Compass’ most highly regarded agents, Marian Marsten Rosaaen, he obtained his Real Estate Sales Person License for Washington, DC. Jorge has lived in several neighborhoods around the city including West End, Georgetown, Shaw, and currently resides in Mount Vernon Square. In his free time, he loves to explore the trendiest neighborhoods around the city, stay on top of the latest restaurant openings, and attend as many concerts and music festivals as possible.